Machine identity protection provider Venafi has released research on the explosion of lookalike domains, which are routinely used to steal sensitive data from online shoppers. Venafi’s research analysed suspicious domains targeting the top 20 retailers in five key markets: the US, UK, France, Germany and Australia. As the rate of online shopping increases, customers are being targeted through lookalike domains. Cyber attackers create these fake domains by substituting a few characters in the URLs. Additionally, given that many of these malicious pages use a trusted TLS certificate, they appear to be safe for online shoppers who unknowingly provide sensitive account information and payment data. “For example, cyber attackers recently set up a lookalike domain for NewEgg, a website with over 50 million visitors a month. The lookalike domain used a trusted TLS certificate issued by the CA who followed all the best practices and baseline requirements. According to Venafi’s research, there has been an explosion in the number of potentially fraudulent domains. There are more than double the number of lookalike domains compared to legitimate domains, and every online retailer studied is being targeted. The total number of certificates for lookalike domains is more than 200% greater than the number of authentic retail domains. Among the top 20 online German retailers, there are almost four times more lookalike domains than valid domains. Major retailers present larger targets for cyber criminals. One of the top 20 US retailers has over 12,000 lookalike domains targeting their customers. The growth in lookalike domains appears to be connected to the availability of free TLS certificates; 84% of the look-alike domains studied use free certificates from Let’s Encrypt. Search and report suspicious domains using Google Safe Browsing. Google Safe Browsing is an industry anti-phishing service that identifies and blacklists dangerous websites. Retailers can report a domain on the Google Safe Browsing site. Report suspicious domains to the Anti-Phishing Working Group (APWG). The APWG is an international volunteer organisation that focuses on limiting cyber crime perpetrated through phishing. Retailers can report a suspicious domain at their site. Add Certificate Authority Authorization (CAA) to the DNS records of domains and subdomains. CAA lets organisations determine which CAs can issue certificates for domains they own. It is an extension of the domain’s DNS record and supports property tags that let domains owners set CA policy for entire domains or for specific hostnames. Leverage software packages to search for suspicious domains. Copyright infringement software may help retailers find malicious websites, stopping the unauthorised use of their logos or brands. 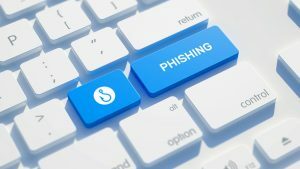 Solutions that also provide anti-phishing functionality can help aid in the search for look-alike domains. “Ultimately, we should expect even more malicious lookalike websites designed for social engineering to pop up in the future,” says Xie. “In order to protect themselves, enterprises need effective means to discover domains that have a high probability of being malicious through monitoring and analysing certificate transparency logs.